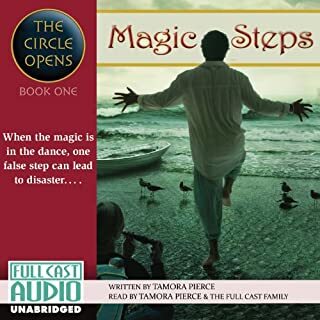 In the first audiobook of Pierce's Circle of Magic quartet, the mage Niklaren Goldeye gathers four children and takes them to Winding Circle temple. They possess powers they do not understand, which leads to their being moved to Discipline cottage and which may end up making them a family. Full Cast Audio used almost 30 actors in this presentation, and the result is an exceptional match between the voices and the character descriptions, including children's characters being voiced by children. The resulting authenticity helps bring the world of Emelan to life. High production values are also seen in the musical accents and sound quality. 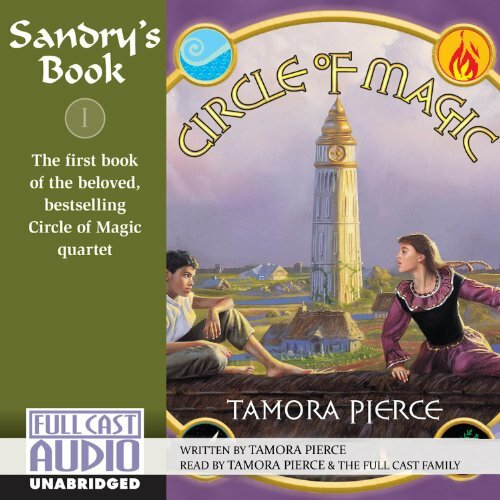 Follow the adventures of all the young mages-in-training with Tamora Pierce's Circle of Magic series. I am a fan of Full Cast Audio (and their predecessor Words Take Wing). I am also a fan of the Circle of Magic books, of which this is the first. The combination is truly excellent; I have listened to this audiobook several times already. This is a great book for girls of any age, and my brothers love it too. 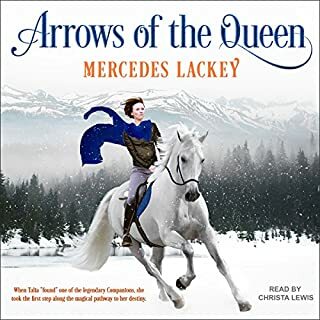 I am crossing my fingers that Audible will get the other books in this series as they are released. Note: for those who may have concerns about the morals in Tamora Pierce's other series, these books shouldn't be a problem. I have long enjoyed Tamora Piece's novels. This one continues in the tradition of excellence that she has set out in her previous work. This book with its new take on magic, and its intensely interesting four young characters kept me interested from the moment I began to listen. This the first novel of the quartet describes how the four come to be togethor and details their trials in learning their own unique abilities and talents, and becoming more of a group and less individuals despite their different backgrounds. Also of note is the high quality of voice acting, w/ multiples actors for the different characters making the transitions in dialog smooth and keeping the flow of the story both interesting and pleasant. I think the author should have hired someone else to read her book. Most of the voice acting was mediocre at best. I very much liked the story, and would consider reading the paper version, but as an audio book this book does poorly. Do yourself a favor and check this one out at a library instead and read it to your child. It will be a much better experience. I loved the Lioness and Trickster books but this one is not in the same league. The writing is more of a children's book than young adult. I believe this is one of Pierce's earlier books so that might explain the simplistic writing. It could've been saved by some decent narration but as the other reviewers have stated, narration was horrendous. I read these books when the first came out in the 4 book set. I was 8. I'm 26 now as having a nostalgia trip. 100/10. Some of the voices were a little annoying, but it actually captured the characters well in that sense. Overall great sort and good overall performance. 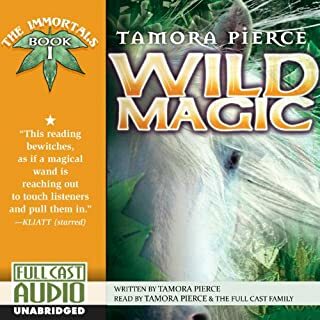 My daughter is a great tamora pierce fan, and has been ever since she was little (I used to read the "wild magic series to her). Since she is still very young she cant read that well yet but is thrilled at being able to listen to books on the bus to school. I am thrilled that my daughter can enjoy he wonders of books when she cant read yet. 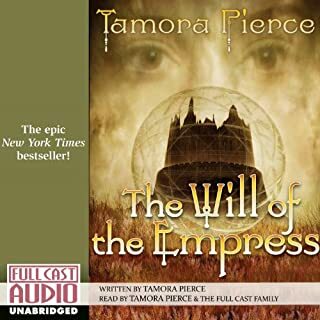 I adore all of Tamara Pierce's books and the Full Cast Audio productions of her books. Simply the best. One of my all time favorite Tamora Pierce novels. I recommend to anyone who likes this author.